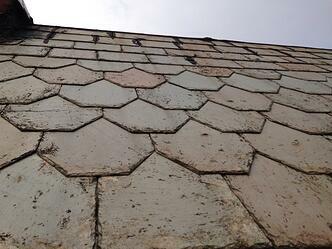 Let's begin with the less common roofing material, slate! 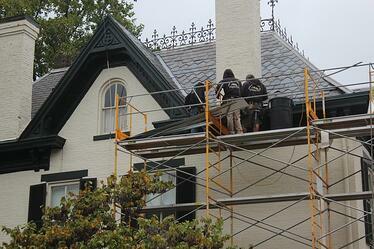 Usually manufactured along the East Coast, slate is usually the most expensive option when it comes to roof protection. However, to many, it is worth the price thanks to its incredibly high durability! Though it may be more expensive, that doesn't take away from the variety of customization options it may have, as slate comes in a variety of colors ranging from standard grey to more vibrant reds and purples! However, these extravagant looks don't come easily and should be done by an experienced team of professionals in order to guarantee proper protection and cleaner look! 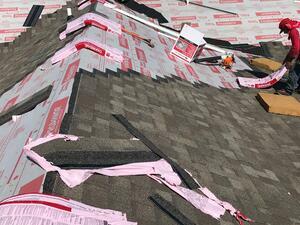 Now onto a more familiar material that you can see anywhere: shingles! 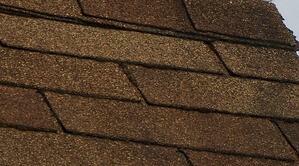 Or more specifically known as asphalt shingles, there are varying types of shingles. Based on the type you choose, you will be looking at different levels of protection, price, and look! 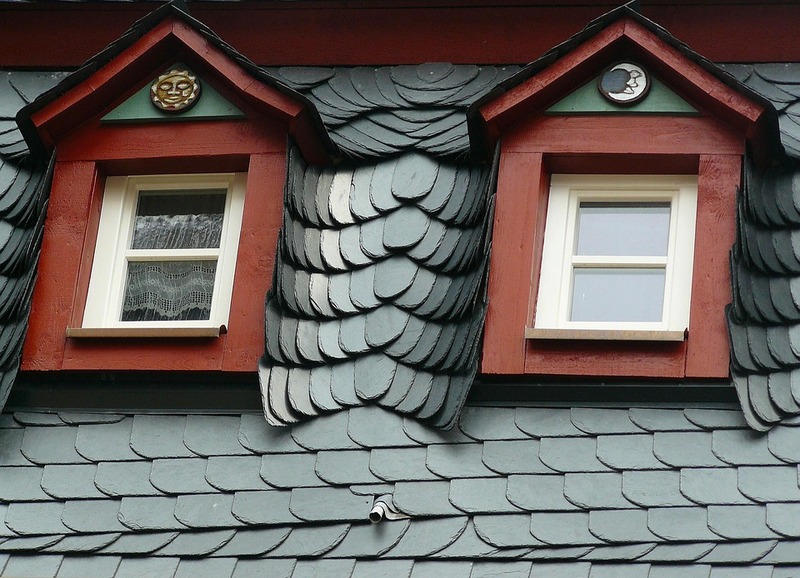 This type is the most common shingle among most homes and older buildings. While a standard, its durability is not as good as other types. The price of 3-tab is very cheap due to this. A step above the three-tab shingle, dimensional shingles offer better protection, durability, and are installed in a slightly different formation. Although at a slightly higher price, dimensional shingles are seen in a lot of newer buildings / renovation projects, dimensional shingles come in a variety of different patterns! 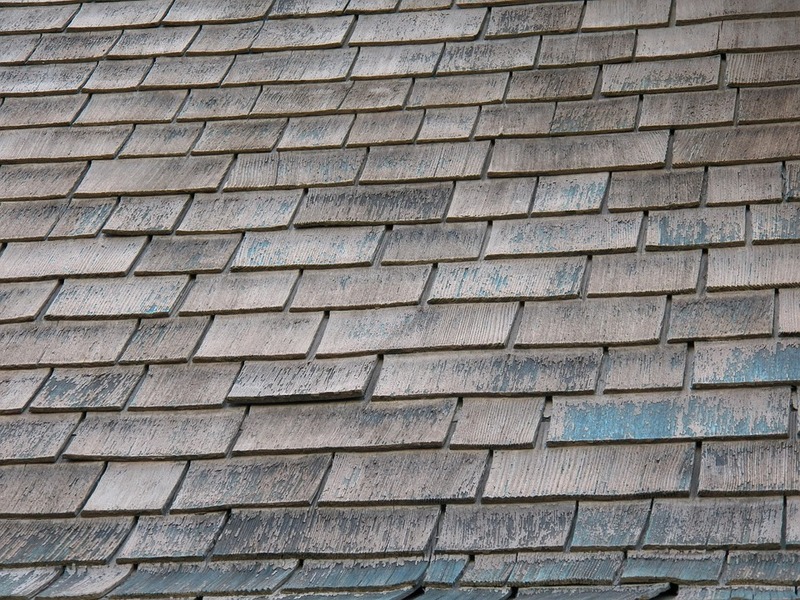 While not an "asphalt" type of shingle, wood shingles are still used today and still retain benefits! What it may lack in durability, it makes up for with natural insulation! Thus for those in colder climates, wood shingles may be a viable option to reduce those heating costs! 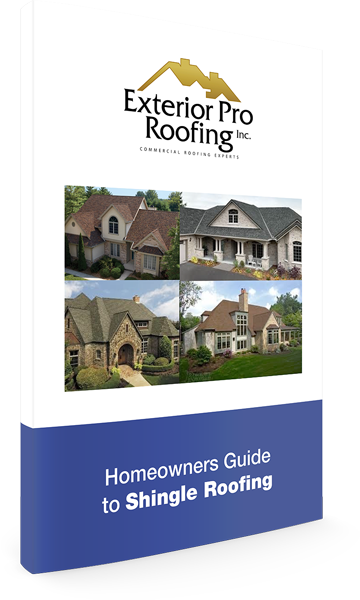 While we certainly didn’t cover all roofing types in this blog, we hope that it assisted you in either deciding your next step in renovations or at the very least provided some insight into the multitude of choices surrounding roofing. Whichever it may be, we will be sure to cover more of this topic in blogs ahead. Be sure to stay tuned for part two in the future!